(September 10, 2013) On the dreadful night of June 4, 1989, when the students in Tiananmen Square were mowed down by the People’s Liberation Army, the path to another tragedy, the damming of the Yangtze, was laid, says Dai Qing, China’s most famous environmentalist and longtime advocate of freedom of speech. Describing the ill wind that swept China in the aftermath of the “June 4 Incident” – an unprecedented fear that reached even the highest echelons of the Communist Party of China, ruled by Deng Xiaoping, China’s paramount leader – Dai Qing explains how officials who had introduced a number of civil rights reforms, in general, and alternatives to Three Gorges, in particular, were swept aside and replaced by those who ruthlessly brooked no dissent. 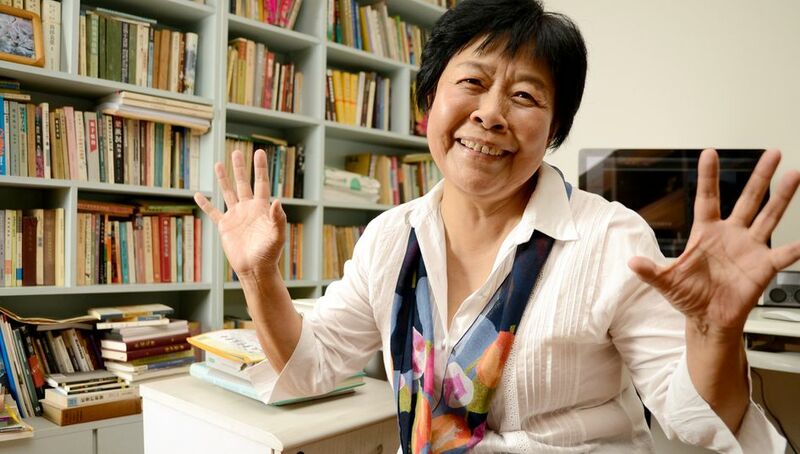 Prominent writer, journalist and activist Dai Qing, 72, has spent many years covering environmental issues and China’s democracy movement. In a keynote address to the University of California (Berkeley) conference, After the Three Gorges, What Have We Learned?, Dai Qing describes the tragic and futile attempts of China’s best scholars to create a civil debate about the wisdom of building the Three Gorges Dam. In 1989, Dai Qing published their views in the now famous book, Yangtze! Yangtze!, which convinced the State Council to postpone the dam for five years. After the June 4 attack on students in Tiananmen Square, the book was banned, Dai Qing was jailed and the State Council decision was reversed. “If those superb and principled scholars could have held a symposium such as this one, which was open to the press and the public, so that their opinions could be challenged and rejected or accepted, would the Three Gorges Dam ever have been built?,” she asked. Though silenced, their warnings proved right. The UCB Symposium, which has just published its proceedings, for the first time ever, gathered researchers from China and elsewhere, with the most up-to-date scientific analysis of the widespread and cascading problems that have been triggered by the construction of the Three Gorges Dam, which began 20 years ago. Those losses include everything from disappearing fish species, downstream drought, upstream landslides and increased seismic activity. “So the real lesson that we have learned in the last 20 years is that the decision to build the Three Gorges Dam was based not on scientific and economic truths, on the rights of citizens, or the rule of law, but on raw power. No amount of good information would have stopped this unaccountable political force,” Dai Qing explained. Editor’s Note: Dai Qing’s keynote address was delivered to the April 13-14, 2012 University of California Symposium, After the Three Gorges Dam: What Have We Learned?. The proceedings of that symposium are also now available in English and Chinese. Dai Qing is a Probe International Fellow. Is the UN responsible for the deaths of 6,000-plus Haitians?